Feeling a bit caged by the concrete jungle of Bangkok? 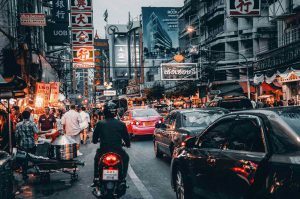 Whether you are looking for more authentic Thai sceneries or a memorable adventure that you can write home about, read about our best road trips from Bangkok to find your city escape itinerary. 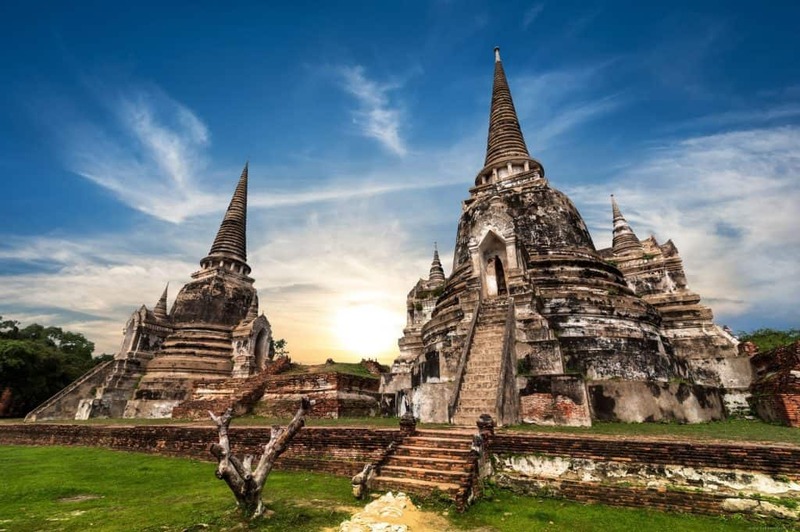 Just an hour from Bangkok, Ayutthaya is the perfect place for history buffs or Lara Croft wannabes. The ancient capital of Siam until 1767 when it was razed to the ground by the Burmese, the UNESCO heritage site is brimming with the ruins of old temples. Rent a bicycle and spend the day riding around these impressive structures. 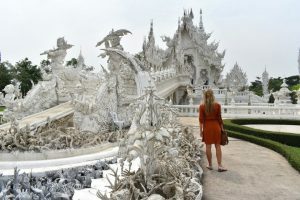 Some of the bigger structures are open for exploration with a minimal fee of 40Baht and a long climb up. 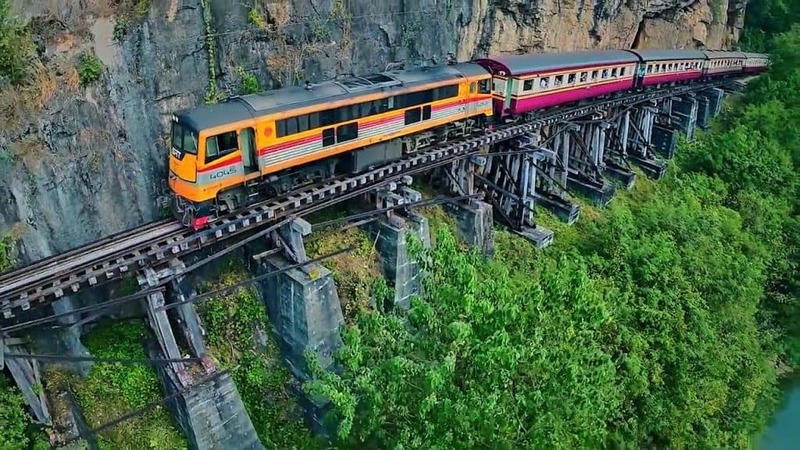 Aside from a hired motorbike or car, you can also head here by catching a train from Bangkok’s Hualamphong train station. Looking for a bit of quiet beach time close to Bangkok? Take your road trip through the less traveled path to Koh Si Chang, a small island that was once the vacation spot of King Rama V. One of the attractions on this island are the remains of the summer palace which remains uncomplete as its construction was interrupted by the French invasion in the 1890s. 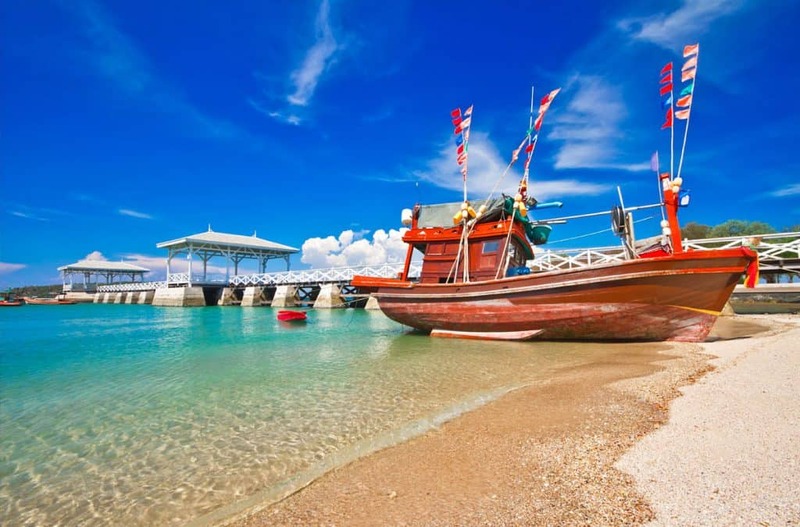 To get here by private vehicle, head to Thammachat Pier, where you can load your vehicle into a ferry to Koh Si Chang. By public transport, take the bus to Sri Racha from Mo Chit or Ekamai and hire a tuktuk to get to Ko Loy Pier. The ferry will be around 40 minutes and will cost your THB50. 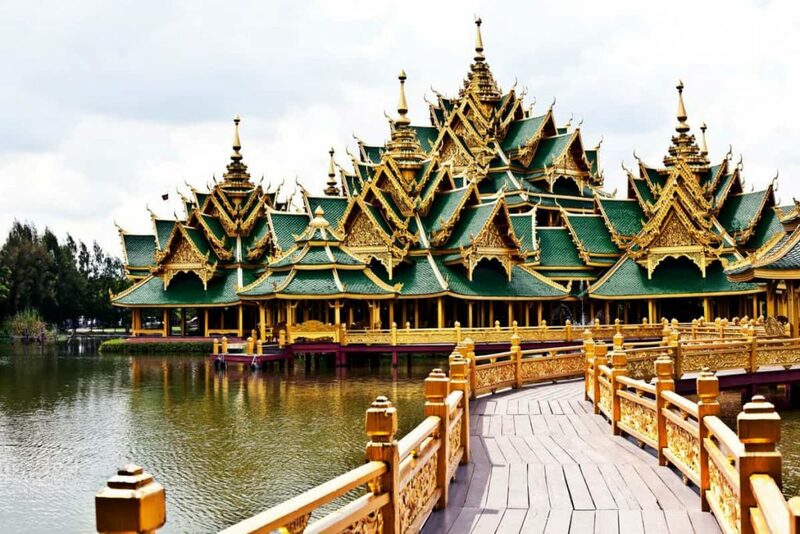 An ancient city that is built by modern means during modern times, Khun Lek has re-created the grandeur of Thailand’s past in this Ancient City. Take a road trip to Muang Boran in the city of Samut Prakarn to travel back in time to see what Thailand must have looked like back in the bygone days before Westernization started creeping in. 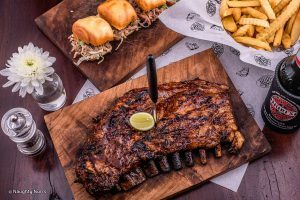 See this sprawling creation for an entry fee of 500Baht. 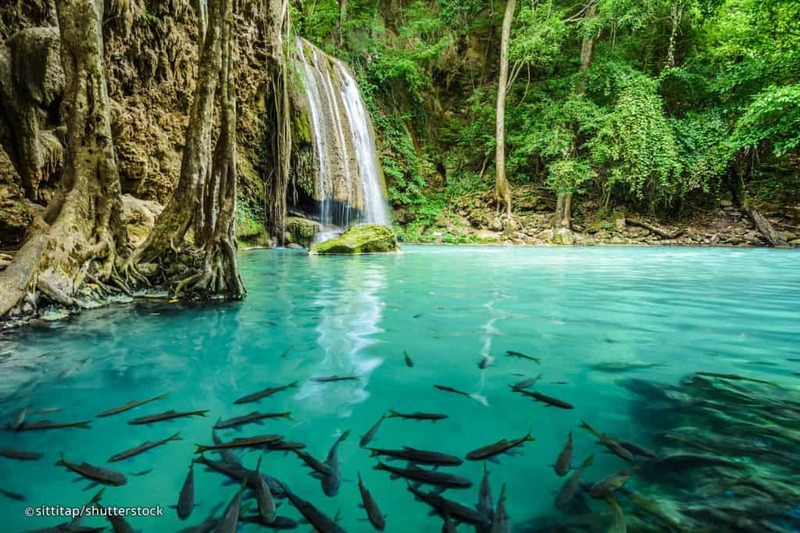 Named after its 7-tiered waterfall with a top tier that resembles the 3-headed elephant Erawan of Hindu mythology, the national park is a refreshing escape from the myriad of buildings that Bangkok is made of. With its waterfall’s colourful pools as well as the caves and wildlife that can be spotted all over the park, this is the perfect spot for people looking for a bit of nature. 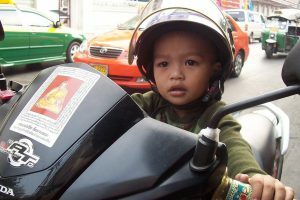 The entrance fee is around 200-300Baht but do expect to pay a bit more for your car or motorbike. A long road trip that would take around 3.5 hours from Bangkok, you can also opt for a bus ride to the park from the Victory Monument. 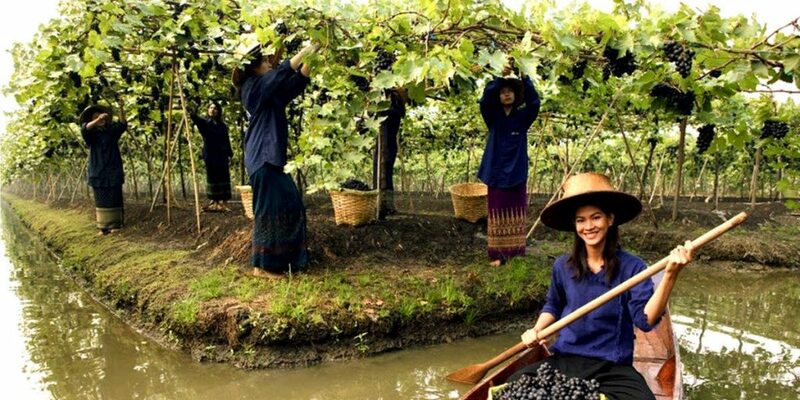 If you are looking into seeing scenes from Thai local life, then a road trip to the floating vineyards of Samut Sakhon maybe your best bet. A novel sight with its rectangular islets and deep irrigation canals in between, the pickers harvest their crops by floating on light wooden barges. Think of it as finding Southeast Asia’s version of European fusion by combining a bit of Bordeaux, Venice, and Thai in one mesmerizing setting. The setting of the award-winning film, The Bridge on the River Kwai by David Lean, the old railroad’s grim history is told by the exhibits at the nearby JEATH war museum and the graves of 100,000 prisoners and the graves of the labourers who died building the railway at the Allied War Cemetery. 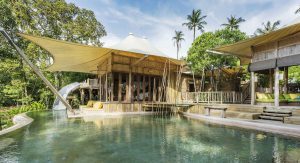 WHAT’S YOUR FAVOURITE SPOT OUTSIDE BANGKOK? Let us know about your own experience road tripping out of Bangkok by commenting below.